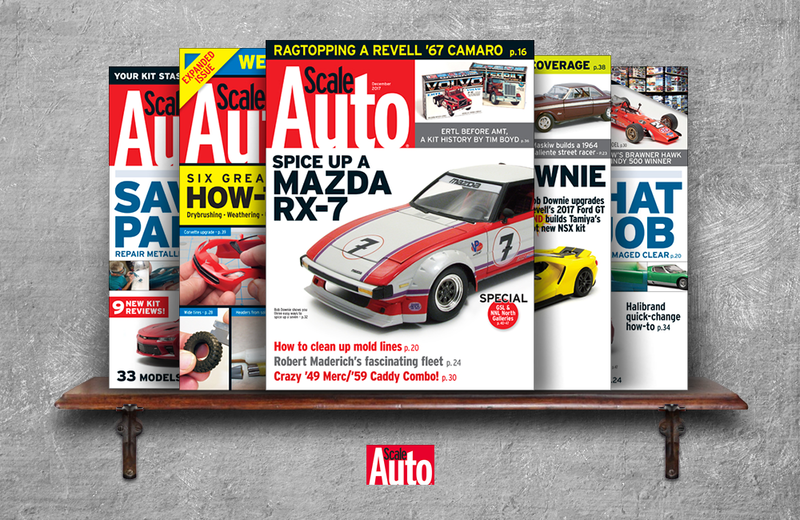 Scale Auto is a bi-monthly print and digital magazine devoted to the interests and talents of automotive model hobbyists. The Magazine features news, reviews, and editorial content centred around stock cars, muscle cars, trucks, street rods, and customs. Scale Auto is an inclusive publication; collectors will appreciate the Magazine’s emphasis on quality photography and articles written by fellow model hobbyists, while DIY enthusiasts will gain valuable insight into the rebuilding process using techniques demonstrated by contributors who have honed their craft. Scale Auto has also built a robust Facebook community that features video interviews and tutorials as well as content from the Magazine. Individuals with an appreciation for automotive models can connect with like-minded people who happily share their knowledge and enthusiasm for the hobby.